Quality Control Air of SWFL, Inc.
Dalo Plumbing & Air, Inc.
Island Aire of Southwest Florida, Inc.
Certified Heating and Cooling, Inc.
Development Air Conditioning & Heating, Inc.
H & L Heating and Cooling, Inc. Comment: I have a mold problem and have filed an insurance claim as of yesterday as this is Irma damage. I need a bid to replace all duct work . Comment: I would like to hire a professional to come out and install one Ecobee3 Lite Thermostat. I am not sure what type of heating system I have so I don't know if a C wire or PEK will be required for installation purposes. I have already purchased the thermostat. Fort Myers Heating & Furnace Contractors are rated 4.68 out of 5 based on 963 reviews of 33 pros. 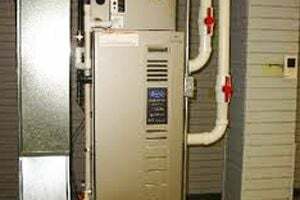 Not Looking for Heating & Furnace Systems Contractors in Fort Myers, FL?